An expose of Southeast Asia's criminal underworld in the 21st century and its surprising links to the West. Essential to understanding Southeast Asia in the 21st century, Hello, Shadowlands reveals a booming underworld of organised crime across a region in flux - a $100 billion trade that deals in narcotics, animals and people -and the staggering human toll that is being steadily ignored by the West. From Myanmar's anarchic hills to the swamplands of Vietnam, jihadis are being pitted against brothel workers, pet thieves against vigilantes and meth barons against Christian vice squads. Hello, Shadowlands takes a deep plunge into crime rings both large and small. It also examines how China's rise and America's decline is creating new opportunities for transnational syndicates to thrive. Focusing on human stories on both sides of this crime wave, the acclaimed Bangkok-based broadcaster and journalist Patrick Winn intimately profiles the men and women of the region who are forced to make agonising choices in the absence of law. 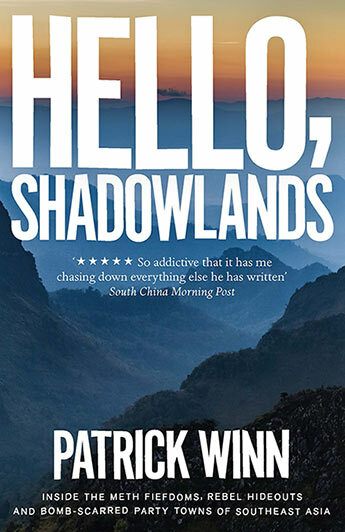 Patrick Winn is an award-winning American journalist who covers crime in Southeast Asia. His work has appeared on NBC News, The Atlantic, the BBC and other outlets. Currently the Asia correspondent for Public Radio International, each week Winn's voice is heard by millions on NPR stations. Since 2008, he has lived in Bangkok and reported almost exclusively on Southeast Asia.